On 15 January 1949, the new music teacher Clément Mathieu (Gérard Jugnot) arrives at Fond de l’Etang (Bottom of the Pond), a boarding school for “difficult” boys. The place is administered with an iron fist by the cruel director Rachin (François Berléand), and most of the boys are given severe punishments for their faults. Clément decides to teach the boys to sing in a choir during their spare time, and identify the musical potential of the rebel Pierre Morhange (Jean-Baptiste Maunier), the son of a beautiful single mother (Marie Bunel), for whom Clément feels affection. He also has a soft spot for the young Pépinot (Maxence Perrin), a boy that expects the visit of his father every Saturday near the gate, but whose parents were lost during the war. With his methods, Clément changes the lives of the boys, of the other employees and his own. On Friday 3rd of October 2014, the Għaqda tal-Malti – Università will be screening a film with Maltese subtitles: “Les Choristes/Il-Koristi” (The Chorus). 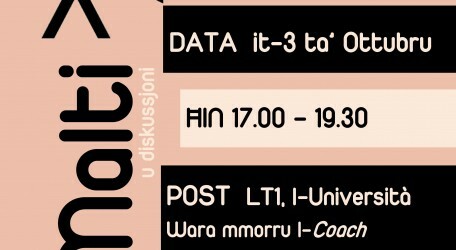 This activity will be taking place in LT1 at the University of Malta, in Msida, from 17:00 till 19:30. Afterwards, we will be heading to Coach & Horses, also in Msida, to have a drink or two and chat with Mary Jo Caruana and Prof. Toni Aquilina, who worked on the translation. This activity will be a good opportunity for first year students to socialize with other students of Maltese and other faculties. The general public is welcome for both events.